September is a very popular birth month In fact, statistics show that the nation's most popular birthday is September 26th. I think some people get carried away with the Christmas celebrations, and like the idea of having an extra family member the following year! That is why September is the perfect month to raise more awareness about Colic. Colic affects 1 in 5 babies, but only 1 in 3 mums admit that they know what it is. I wasn't really sure what it was until I got involved in the campaign last year. Even though Colic can look painful, and can be a very stressful time for new parents, it is not harmful to the affected baby. The effects of sleepless nights with a colicky baby can be huge though, and is something that any parent with a baby who suffers from Colic with tell you. 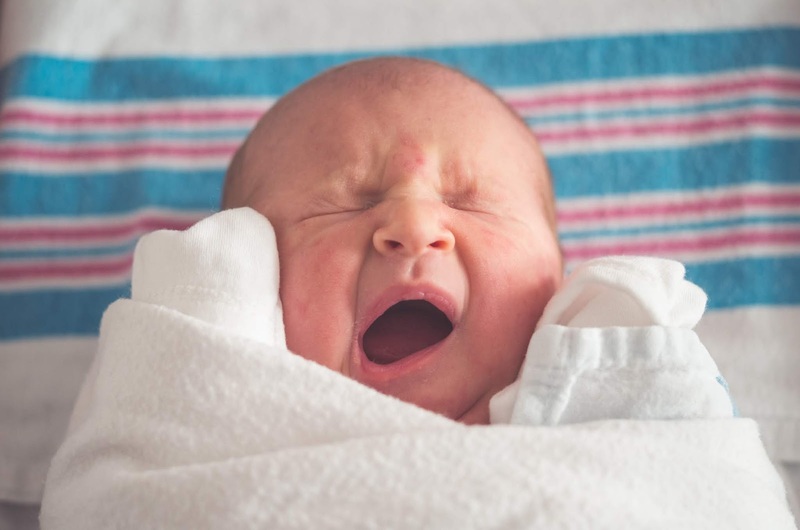 New parents are used to sleepless nights, in fact they get an average of four hours a night, but with a baby screaming from having Colic, it can be even worse! This year, Infacol have researched how parents cope with Colic, and some have come up with some pretty inventive ways. Whilst some parents might try to soothe their crying baby with lullabies and background noise, others are turning to modern technology. A new app has been developed which claims to be able to interpret an infant’s cry. Using acoustics of cries from thousands of babies, ‘Chatterbaby” claims that it can help a parent work out what their baby is in need of. It can help work out if it is a cry of hunger, pain, tiredness, or if a baby is simply fed-up. Infacol carried out a survey of 500 mums and dads with babies under the age of 2, and found that 1 in 3 parents would be willing to try an app like this, if it helped to calm their infant. I think that I would be willing to try out an app, as it would be so helpful in the early days when everything just seems to be getting on top of you. The research conducted by Infacol and Cry-sis also revealed that 95% of parents have sung or hummed to calm their baby. Around 88% have tried taking their infant for a drive and 67% have switched on the TV or radio. Regionally, 93% parents in the East of England are more likely to try humming or singing, those in the South West (94%) prefer to take their baby for a drive and 77% of mums and dads in Wales have tried using background noise, like the TV or radio, to help their little one get to sleep. Interestingly, current affairs, documentaries and dramas are the most popular programmes used to help babies drift off. We used to take Elise out in the car to settle her if needed, or also just had some background noise for her. I've been known to try and sing a tune to her too, but she prefers listening to jazz to calm her down. Colic Awareness month has been set up to educate and support parents so that they can enjoy parenthood to the full, and this is the second year of the campaign. Cry-sis are there to help and support those parents who may be struggling with this common problem in newborns. If your baby is suffering from Colic, and you need some support, you can contact Cry-sis. 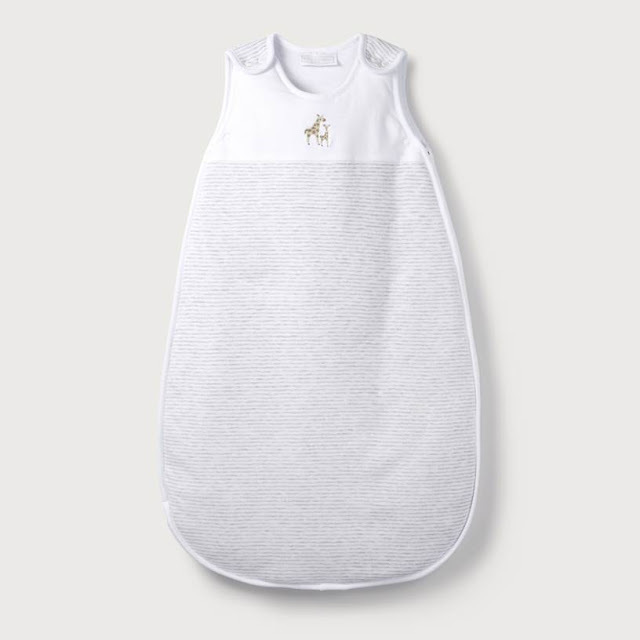 In Celebration of Colic Awareness month, and the work that Cry-sis and Infacol are doing, I am really happy to announce that I am giving away one White Company Sleeping bag for 0-6month old babies. The sleeping bag has a retail value of £32.00 and one lucky winner will win one sleeping bag to keep their baby nice and cosy in those early days. To be in with a chance of winning, fill in the Gleam app below. You can fill in as many, or as few options as you like. The giveaway will end on 10th October at 12pm GMT and is open to UK residents. For full terms and conditions, please see here. Make sure you wind your baby properly after feeding. Carrying them around upright for a little bit after a feed is also a good idea (I used a baby sling so I could get on with jobs at the same time!). Ask the questions you want answers to, follow your instincts and ignore all unsolicited advice. Enjoy every second - it goes by in the blink of an eye. I'm expecting my third in December and intend to savour every moment! try and rest when the baby is sleeping, housework and chores can wait. Take offers of help you get, don't put pressure on yourself, relax and enjoy. Trust yourself and your instincts, and ignore unwanted advice! Don't take everything said in the early days to heart, hormones and exhaustion can be a confusing mix and you're bound to be snappy and tired at some point! If you have a dog, don't change the way you are towards him/her, as they will feel part of the family when the new one arrives! Don’t be afraid to ask for help , it can be hard work but if your trying to make baby happy then your doing a great job. Don't compare yourselves to others! take everybit of help you can get, and honestly don;t worry so much! try to enjoy every minute of your tiny baby because they don't stay like that for long. Also, don't fret about the little things! they really don't mean anything! take other peoples advice onboard but seriously, the only people who know what's best for your baby are the parents! Be kind to yourself and trust your instincts. Relax! Accept help if it is offered and try and enjoy those early months. They don't stay little for long! Learn to appreciate the peace and quiet of night feeds, especially if you already have children. This is when I bonded the most with my second baby. No one knows your baby better than you, so trust your instincts!